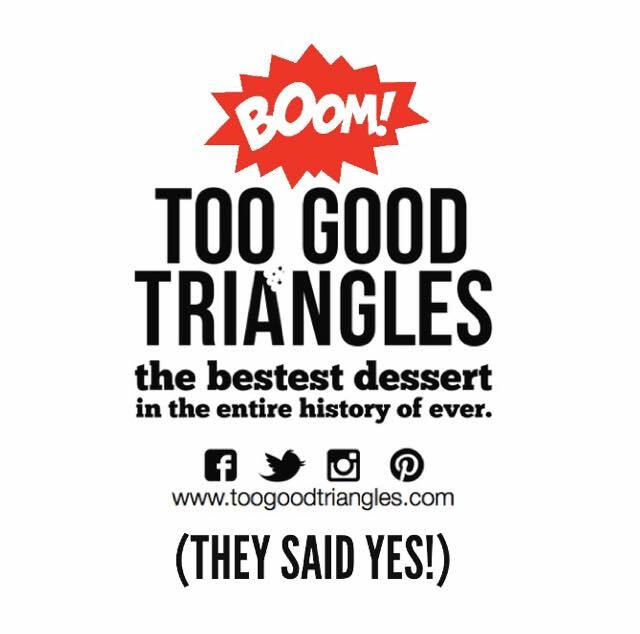 Too Good Triangles Is Officially Registered In Quebec! Guess who chose the first day of summer to officially register her first business in Quebec? C’est moi! I chatted with someone on the weekend who said he hated Montreal and couldn’t believe I loved it. When all you do is work and drive in the city, I can see why. But if you’re truly immersing yourself into all it has to offer, it’s just one amazing experience / party after the other. I pity those who live here but don’t actually LIVE here. Thankfully I do enough living for all of them. In Montreal I actually do prefer to go to clubs and festivals with myself because it feels great and I meet so many awesome humans and I never need to feel restricted by other people’s moods, preferences, timelines, judgments or discomforts while I'm out, and that’s my kind of heaven. Song after song after song, neither of us veered from our spot on the edge of the dance floor. His friends came and went, random men came and went, and there we both stayed just enjoying one another’s company. Here’s a picture of me, Christen, our hot waiter and our delicious meal at Dans Le Noir. What an amazing experience! A yummy 3 course meal in complete darkness (we both had filet mignon) and I gave up on utensils within seconds and I just used my hands throughout each course. The best part was when some dishes were dropped and smashed on the ground and everyone in the restaurant clapped and cheered. This year has been a full one for me, filled with many new and beautiful souls who've become my dear friends, a few wonderful visits home, the greatest creative experience of my life (P&B), and many months of French immersion, of course. It was a surreal experience for me to hear audible responses to some of my lines about Keveen, and afterwards some of my friends shared how it resonated with them. They opened up about their own stories in front of everyone and it was beautiful. I was asked more questions, I shared more of my heart, they asked to see pictures of Keveen, I acquiesced, and side conversations grew deeper. As we talked, she asked if I knew of Amélie. She said that I’m just like her with the way I look at things. I beamed and thanked her and told her that Amélie is one of my favourite films and also my favourite character, and that the soundtrack plays a special part in my book, which I also told her about that night because that was the day my books came but I missed them so I was anxiously awaiting the return of the UPS guy the next day.